Ace is the place for Craftsman! Craftsman is America’s most trusted tool brand. From DIYers to professionals, Craftsman is the tool of choice. Known for their durability and consistent performance, Craftsman branded items are the best choice for whatever job you need to complete. You can’t go wrong with the lifetime warranty on hand tools. 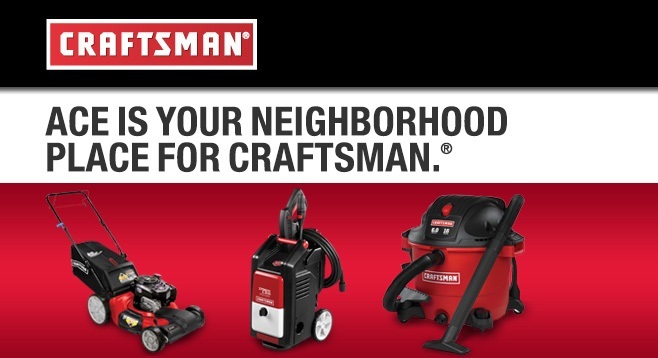 All of our locations now carry Craftsman items including power tools, hand tools, wet/dry vacuums, lawn and garden solutions, storage and garage items, automotive products, batteries and chargers, and snow blowers, with many more items available for special order.